The Esther School aims to provide an education that develops students’ passions and skills to serve God’s Kingdom. And we do this by partnering with many people - teachers, administrators, parents, community members, and people from other countries around the world. It takes a village and a global community! We always look for new opportunity to involve people in a new way and fulfill a need at our school. When one comes up, we jump at the chance! Dr. Jim and Chris Hoekwater are dentists from Michigan and have run dental clinics in other parts of the world. They have also been supporters and sponsors of The Esther School. They found a chance to serve The Esther School and the surrounding area and help fulfill a need in the community. The dentist gave students mirrors to follow along as he worked. 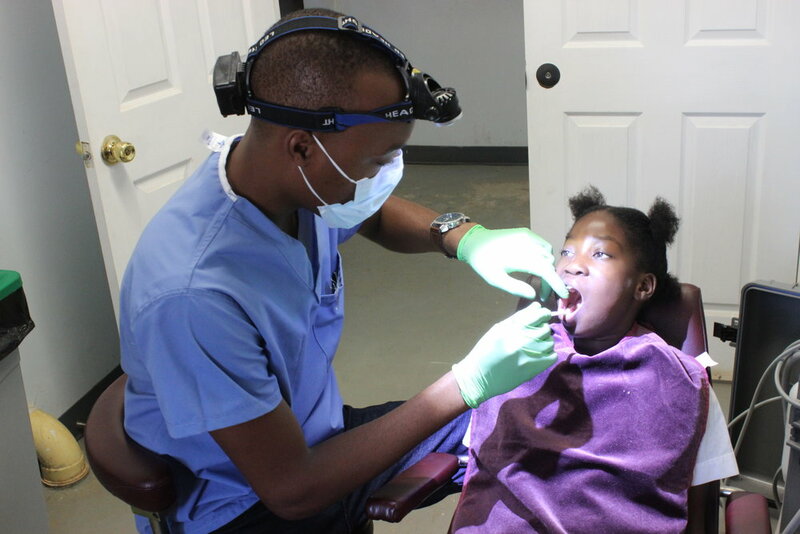 Many families of The Esther School and the surrounding community do not have the opportunity to get proper dental health care. Often the cost and distance are too difficult, meaning it may never happen. 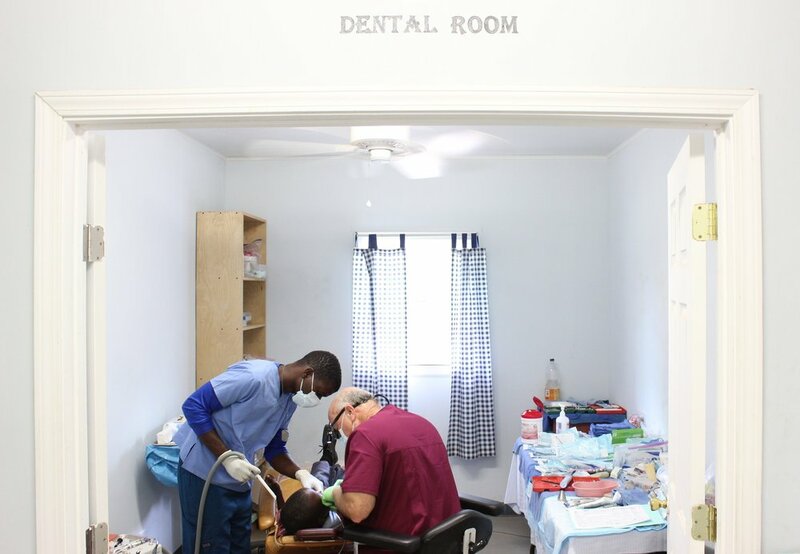 The Hoekwaters partnered with Chifundo Rural Health Center, a local clinic, to bring a dental clinic to this rural part of Zambia. Together with Twaambo, a dentist in the district, they provided an opportunity for free and reachable dental care. For the third year, we have brought students to the dental clinic. This year, grade two students came to have their teeth looked at, cleaned, and protected from future problems. For the majority of the students, this was their first time at the dentist ever! Some were excited to visit the dentist and some were nervous. But when students sat in the dentist chair, the Hoekwaters and Chifundo staff made everyone feel comfortable. The dentists taught them what they were doing and the importance of good oral hygiene. We are excited about this continual partnership and how it keeps our students healthy! It’s incredible to give our students the chance to take care of their physical needs by giving them healthy smiles. It’s even more significant to give them the chance to see Christ-followers being generous with their gifts and talents to make an impact on His Kingdom. The Hoekwaters are a great example to The Esther School’s students! After their check up, everyone received a new toothbrush. We smile when we think about the opportunity this is for our students! Thank you, Dr. Jim and Chris Hoekwater and the Chifundo Rural Health Center!